TripAdvisor, our go-to resource anytime we want to research a destination or hotel, just announced its 2016 Travelers’ Choice Award winner of the absolute best hotel in the entire world. 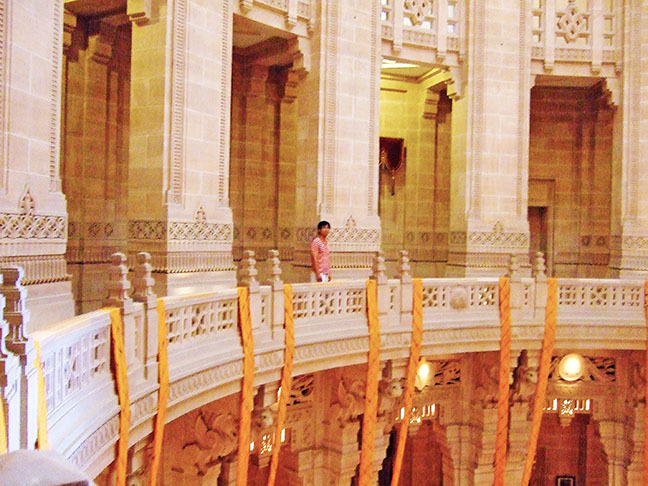 And no, it was not in some tropical paradise like the Maldives or a centuries-old historic gem in the heart of Paris. 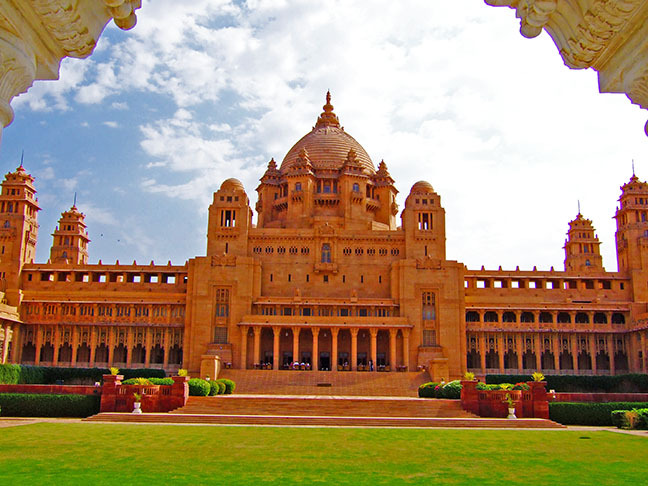 It was the Umaid Bhawan Palace in Jodhpur, India. And yes, we’ve stayed there. The main domed hall of the Umaid Bhawan, less hotel than historical site, where it was like sleeping over at the Vatican or the Blue Mosque. Now, just so you know, when we travel, we don’t look to stay in the poshest or chicest hotels or B&Bs. We are not laze-about-the-resort types at all (come on, I’m sun-phobic), preferring to spend every waking moment exploring the environs, walking neighborhoods and visiting historic sites. But granted, as I’ve gotten older and my body less able to bounce back after a night on a lumpy bed, I do need to find places to stay that are comfortable enough for me to get a good eight hours of sleep and a nice, hot shower after a long day. When we went to India to celebrate (or rather, obfuscate) my big 4-0, we booked mostly mid-level boutique hotels in New Delhi, Agra, Jaipur, Ranakpur and Udaipur, sometimes going with the familiar in an unfamiliar land (read: the Hilton) and other times preferring a stay at, say, the one-time hunting lodge of Jodhpur’s royal family (Rawla Narlai). 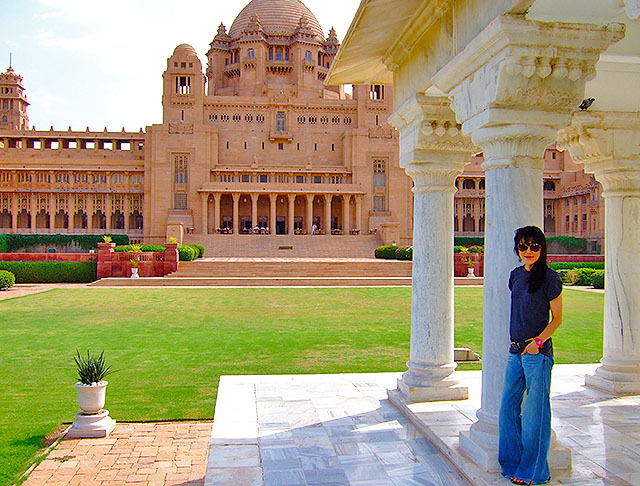 But when we found out that a must-see in Jodhpur was itself a royal palace-slash-hotel (it’s really one of the largest private residences in the world that happens to accept guests in a fraction of its 347 rooms), we really, really wanted to stay there. 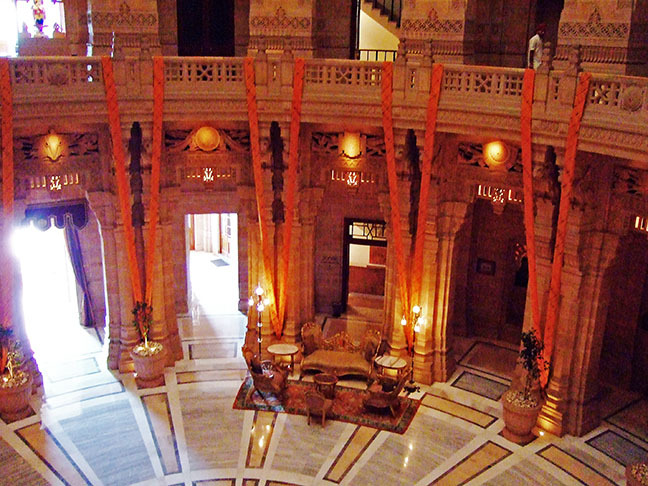 The view from our historical suite at the Umaid Bhawan Palace in Jodhpur. From the minute we arrived at the gates long before you got to the palace itself, situated high up on a hill overlooking Jodhpur, we felt like royalty. 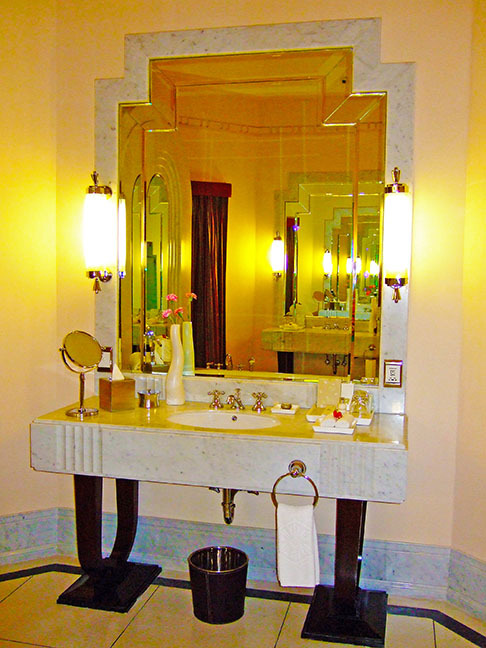 We were upgraded to a Historical Suite, awash in Art Deco splendor and once reserved only for royal guests, with bay balconies overlooking the grounds, a stunning standalone marble tub in a bathroom bigger than our bedroom, and even our own butler. We had martinis at The Trophy Bar, an apparent relic of a time gone with its hunting trophies of busts of white tigers and giant tusks. We breakfasted at The Pillars, aptly named for the ginormous pillars at the back of the palace, between which you are a mere dot munching on Indian specialties, as two locals play traditional instruments to set the mood. 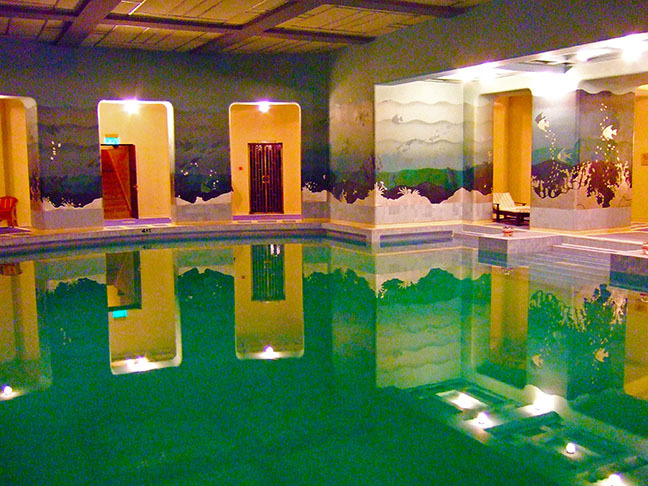 We swam in the subterranean Zodiac pool, its gold tiles glinting in the low light, as a staff member stood with my towel, waiting for me to finish my solitary swim. At the back of Umaid Bhawan, where breakfast was served. We poked around the dizzying maze of hallways and courtyards, feeling like little kids in a giant playhouse. The experience was especially surreal because we only saw one other group of guests — a clearly well-to-do Indian family — the three nights we stayed there, and that was at breakfast. Every other time we were at the hotel, it was quiet — like royal-family-still-upper-lip quiet. I guess it was no surprise that everywhere we went, staff members greeted us by name, even though we had never met them before. If I were officially a guest of the Maharaja, this is where I would dine. 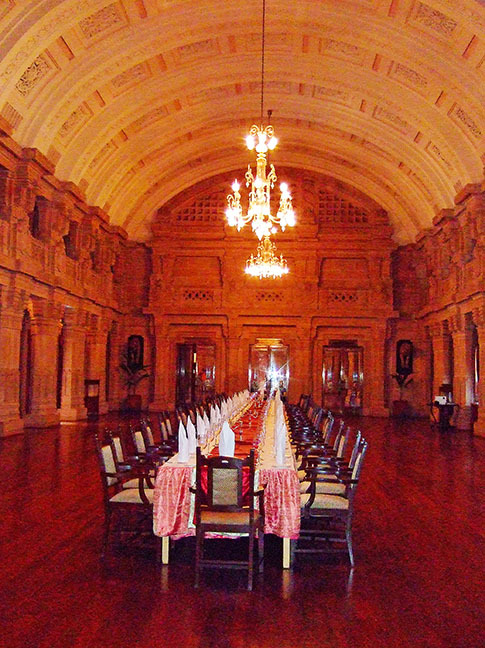 We snuck a peek at the royal dining hall, where dignitaries would dine with the Maharaja (who still resides at the palace!) during special events. We visited the little museum located in an outer part of the palace. Locals and tourists alike were lined up to get into the museum, and we felt extra special because we entered from within the palace and didn’t have to wait at all. 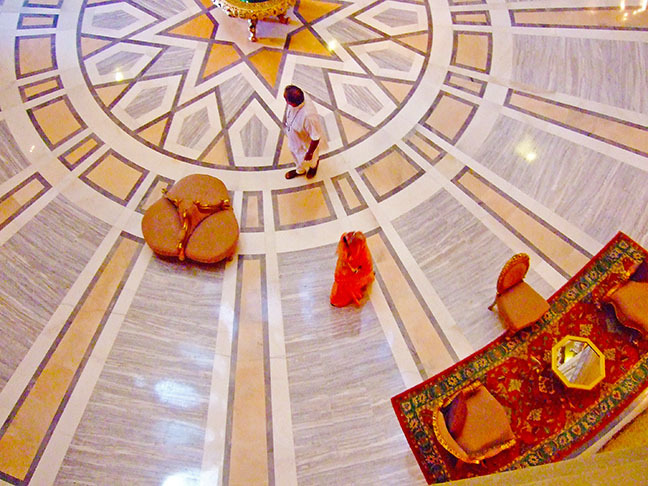 And we even snapped a photo of the Maharaja and his wife passing through the main domed hall, presumably to get to one of the remaining 280+ rooms they call home. 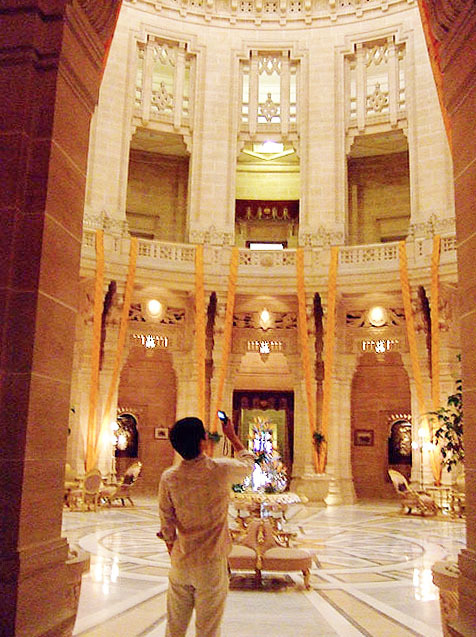 Yup, that’s the Maharaja of Jodhpur and his wife, passing through the main hall at Umaid Bhawan Palace, voted best hotel of 2016 by TripAdvisor. 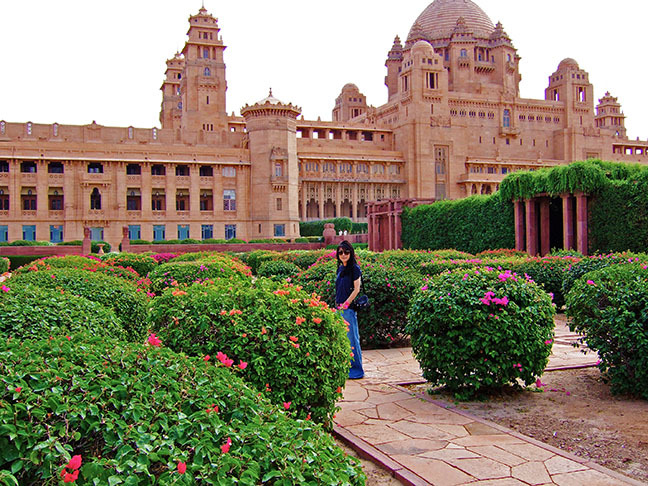 But perhaps the best part of staying at the Umaid Bhawan Palace was that it gave us a chance to sort of … recover. You see, I consider myself a savvy traveler — a lifelong traveler whose first flight was at age 3 and first solo international flight at 14. While working as a lawyer, every six months I planned a trip somewhere, usually in Europe. After I left the law, I backpacked mostly solo through Asia for 100 days, trekking up Mt. Pinatubo in the Philippines, making my way through Vietnam on rickety buses, and exploring Japan by train. I worked in Korea as a travel writer, visiting the many lesser-known beauties of my native land and, in the process, rediscovering myself. After I met my husband, we made an effort to travel somewhere far every year. So when we planned India — specifically Rajasthan, because that was all we could fit into the two weeks that we could get off work — I felt fairly confident that we were prepared. We had done a lot of research, the food wasn’t going to be a problem since we loved Indian food, and I felt that I had at least a passing understanding of Indian culture. 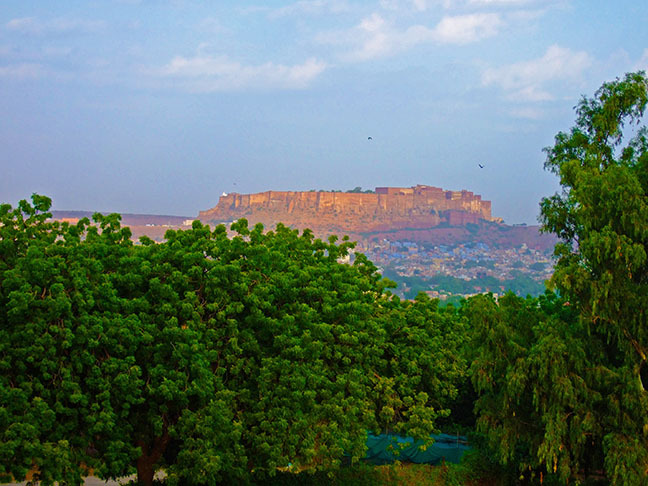 The view of Mehrangarh Fort from Umaid Bhawan Palace in Jodhpur. Boy, were we in for a surprise. Because nothing could have prepared us for the utter chaos and crush of humanity that is India. It’s such a discombobulating place — the clash of supreme beauty and wretched poverty. Amazing wealth and hideous discrimination and classism. The forts, the palaces, the Taj Mahal are so stunning, and yet your heart breaks at every stoplight as masses of children come rushing to your car window, banging and begging for food. Every sense is pushed and pulled in every direction, soaring one minute and then guilt-ridden the next. At times it was too much for the mind to take. 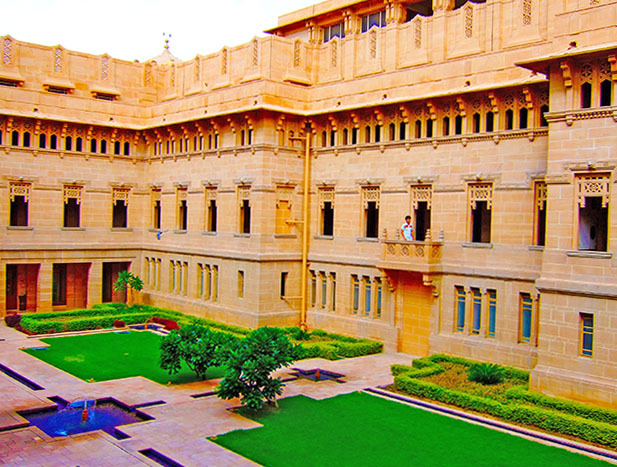 An inner courtyard at the Umaid Bhawan — we were mostly alone at this palatial residence. Ultimately, we adjusted as our jetlag faded and we (sadly) got used to the poverty and the wealth, side by side. 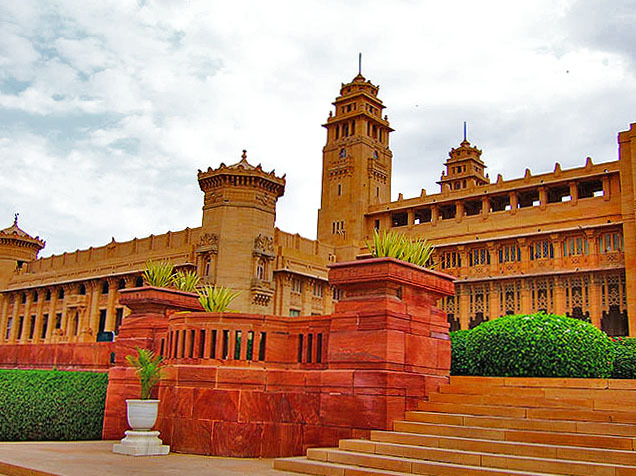 But when I say that the Umaid Bhawan Palace was a haven during that first week in India, I mean it was a place where our souls and hearts and minds could step back and rest and ingest and process all that we were seeing and hearing and feeling. A place where we could take a break, where we could be pampered a little, Indian-style. Where we could relish being at what we knew then, and has since been confirmed by the travel community at TripAdvisor — that we were staying at the best hotel in the world. 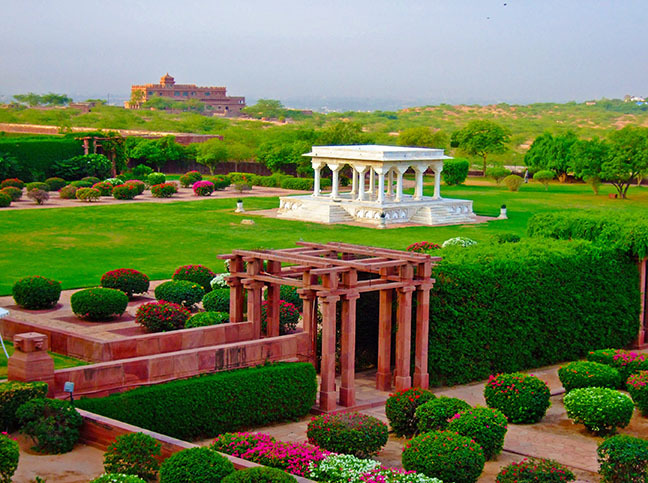 Scroll down for more photos of the Umaid Bhawan. See those ornately decorated balconies on the lower tower? Those were the two balconies in our room. 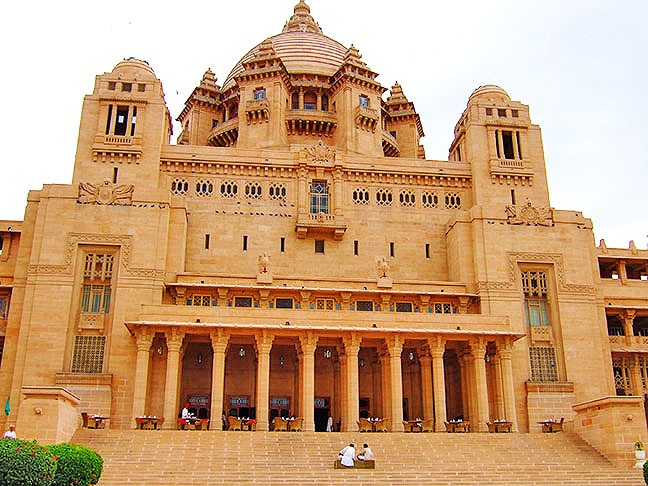 Construction of the palace began in the 1920s as a way to spur the economy in Jodhpur. 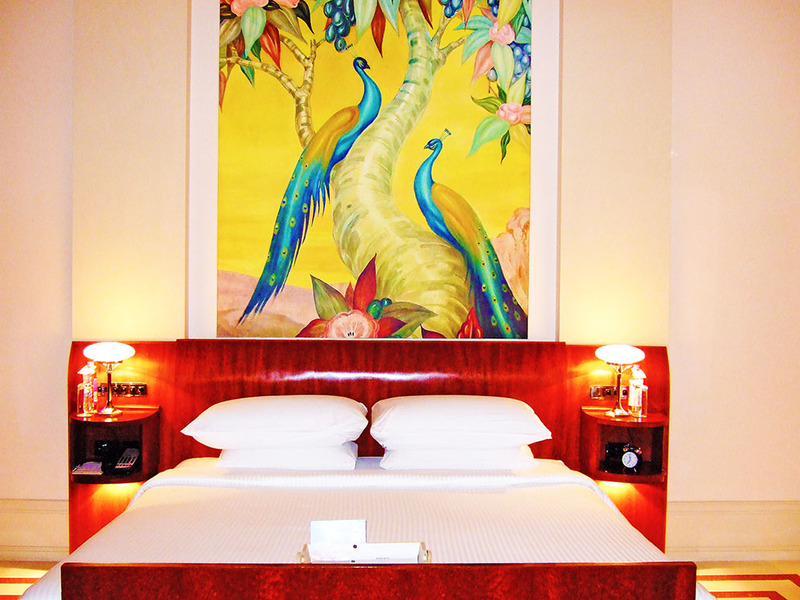 Art Deco furnishings decorate the historical suite. The gilded subterranean Zodiac pool. To get a sense of the scale of Umaid Bhawan, look for those white dots in between the pillars. Those are people. For me, definitely the best hotel I’ve ever stayed at.